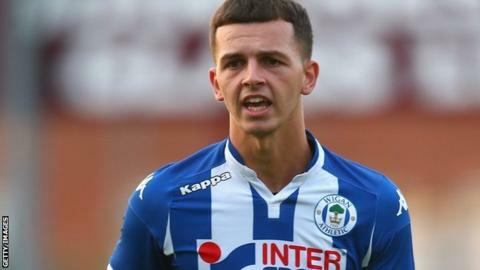 Wigan Athletic winger Ryan Jennings and Reading defender Rob Dickie have extended their loan spells with National League side Cheltenham Town. Jennings has made four appearances since arriving last month and will now stay until at least the end of January. "I'm delighted to stay here and keep playing football matches and keep winning," the 20-year-old said. Dickie, 19, has been an ever-present this season and will remain with the club until the end of the campaign. "I'm very happy. It's another half-season that can add to my experience," Dickie told the club website. Saturday's 3-1 home win over Chester took the Robins four points clear at the top, ahead of Gloucestershire rivals Forest Green.